How Far the Mighty Tiger has Fallen! For the first time since his debut in the Greater Milwaukee Open in 1996, Tiger Woods fell outside the top 60 ranked PGA golfers in the world dropping to number 62 in last month’s rankings. To put that in perspective, in 1996, Bill Clinton was our president, the top movie was Mel Gibson’s Braveheart, the Macarena topped the billboard charts, and the cost of a gallon of regular unleaded gas was $1.31. It is no secret Tiger’s golf game has never been the same since his infidelities to ex-wife, Elin Nordgren, came out in December of 2009. After the couple divorced in 2010, Woods’ golf ranking plummeted to 58 by November of 2011. Tiger has been ranked the top golfer in the Official World Golf Rankings a record 683 time including a record 264 weeks in a row at number one. Yet, the man who owns 79 official PGA tour victories, including 14 major victories, last won a major in 2008 at the age of 32. Has his failed marriage affected his career to the point we no longer see him dominate his competition or have other factors come into play? Changing swing coaches has not helped. Woods fired Butch Harmon in 2003 after winning eight majors in 23 starts. Harmon was replaced by Hank Haney who was around to witness six more majors in 23 starts before being dismissed by Woods in 2010. Sean Foley, who was Woods’ swing coach from 2010 through 2014, holds the distinction as the only swing coach never to help Woods win a major. Chris Como has only been working with Woods since late 2014 so lets give him some time to see if he can revive Tiger’s career. As a young golfer, not only did Woods have one of the sweetest swings ever seen on the planet, but he remained relatively healthy. That has not been the case since 2008 when he missed nine months due to ACL surgery. Since then, Woods missed three months of action in 2011 with a left knee and a strain to the left Achilles’ tendon. The left Achilles’ tendon flared up again in 2012 forcing Tiger to withdraw with seven holes left in his final round at the WGC Cadillac Open although Woods was back in action two weeks later. He missed some time in 2013 with an elbow strain and has suffered from an ailing back for nearly a year. Just last week, Woods forced him to withdraw from the Farmer’s Insurance Open after only 11 holes. Woods will turn the big 4-0 on December 30th. 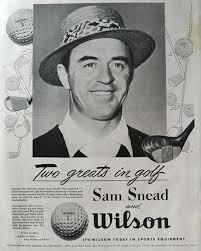 He is still four Majors behind Jack Nicklaus’ record 18 and needs four tournament victories to pass Sam Snead’s total of 82 career PGA tour wins. Vijay Singh has won 22 tournaments after turning 40 and Snead himself won 17 so it is realistic to think a healthy and focused Woods could easily break the record for career PGA tour wins. As for breaking or even tying Nicklaus’ record of 18 Majors, this would be an incredible feat for Woods. Since 2009, 40 majors have been won by a player 39 or older including five since 2009. 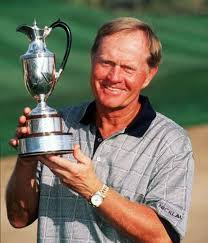 However, since the masters started in 1934, no player has won more than three majors after his 39th birthday although Ben Hogan, Nicklaus, and Snead did win three each. Unless Tiger regains the form he has shown in his past while the PGA tour’s number one ranked golfer, the likelihood of him retiring with the most wins in a major is slim to none. The way he has played over the last year makes my golf game look good at times, and I am lucky if I play once a year. Tiger decided to take a self-imposed sabbatical last month and vowed not to return until his game was worthy of the Tiger Woods we have seen dominating the golf world. On Friday, former PGA golfer, Dan Olsen told a radio station in Lansing, Michigan, he heard from a good source that Tiger had been suspended from the PGA Tour for 30 days due to using performance enhancing drugs. Olsen also mentioned Woods has been accused of using “cheater balls” during his career. In a bizarre change of events, Olsen recanted his entire interview today and called his comments “ill-advised”. Maybe Tiger can go back to working on his game now and getting back on tour as quickly as possible. Whether you love him or hate him, watching Tiger compete in tournaments makes golf much more enjoyable to watch. Come check out my blog As I See It at http://Scottdm71.com.